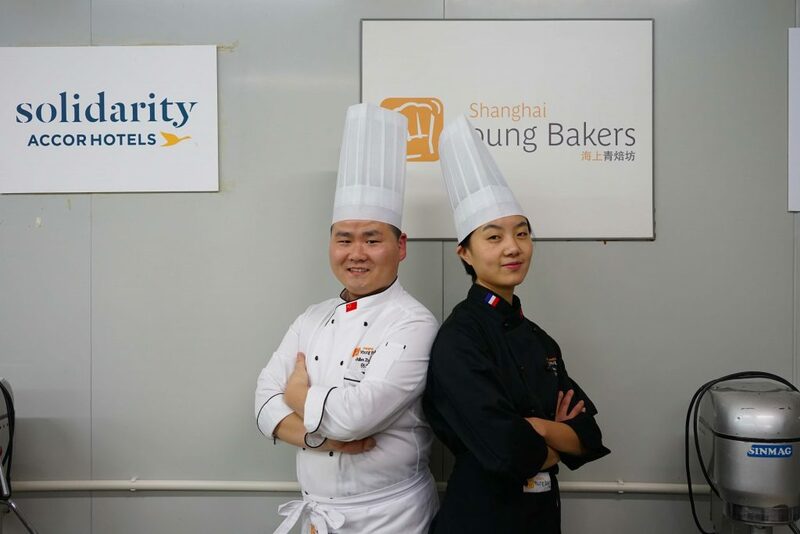 Jin Huizi and Zhang Shuai are currently working with Shanghai Young Bakers as our French pastry teacher and bread teacher respectively. 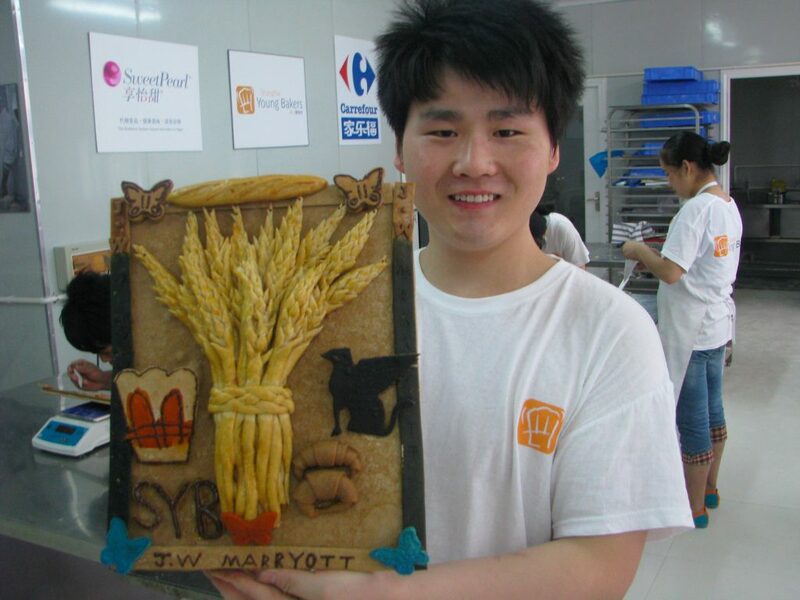 If you are familiar with Shanghai Young Bakers (SYB), you would probably have heard of these 2 teachers, perhaps even attended their lessons before. However, unbeknownst to most, these 2 teachers have a history with SYB spanning almost 7 years long. From a student to a teacher, how have they transformed throughout this time? 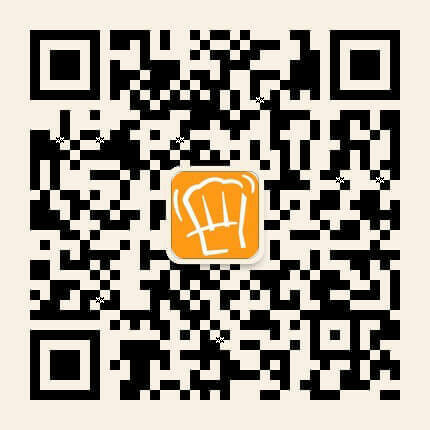 That is how both teachers stepped into the unfamiliar baking industry. Within the year, they underwent SYB’s part work-part study French training model, spending 2 weeks learning in the classroom then another 2 weeks training in a 5-star hotel. Zhang Shuai remembers this year being “an extremely important phase for creating a solid foundation”. 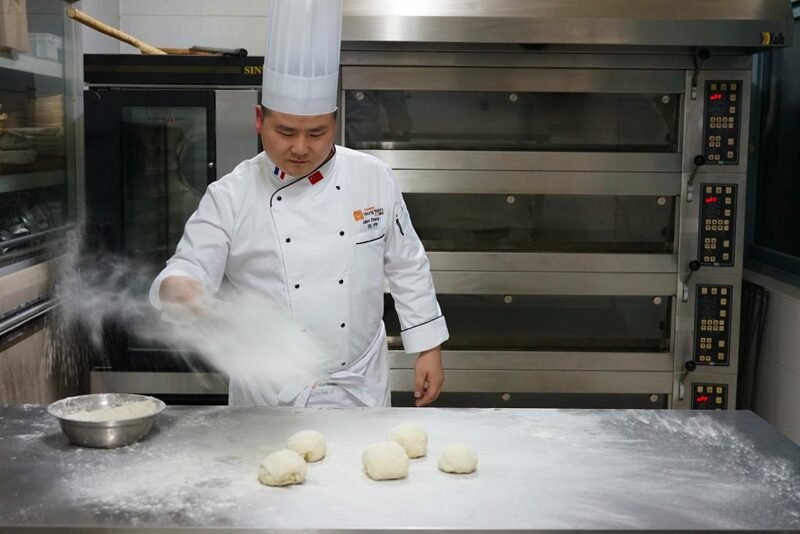 During his time working at the bakery, Zhang Shuai gradually discovered his interest for making bread, the fermentation process、temperature control all carried a special meaning for him. The experienced bakers at the bakery were especially nice to him, assigning him many tasks undoubtedly knowing he would complete them. Throughout the process, he furthered his knowledge of the raw ingredients and techniques. After graduation, he stayed on at JW Marriot Tomorrow Square, where he interned, quickly rising through the ranks and eventually, leading the new batch of trainees. 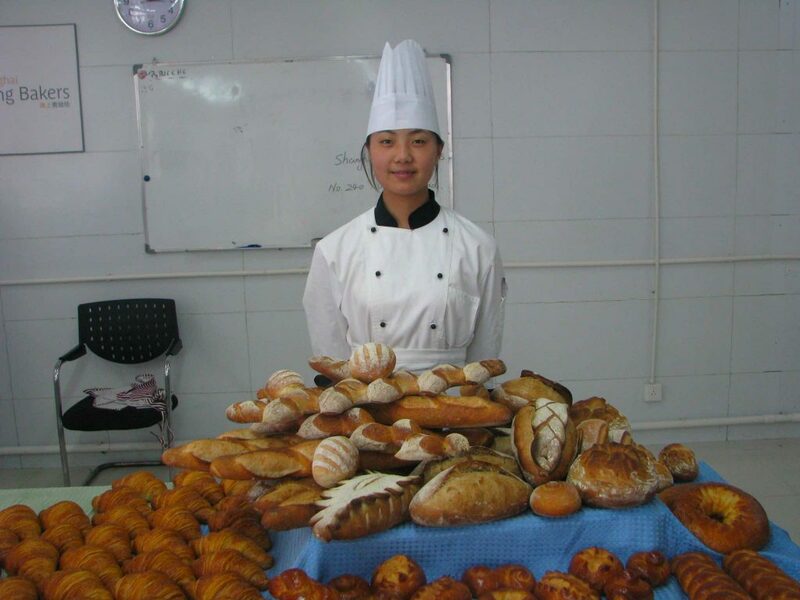 Jin Huizi, on the other hand, discovered her passion for pastrys working at the Sofitel Hotel, especially the myriad transformations pastrys are capable of. Jin Huizi is a person of strict discipline and clear purpose. She studied hard in the year, hoping to get a chance to fly to France for further studies. Her hard work paid off. Upon graduation, both Zhang Shuai and Jin Huizi got the opportunity to study in France. The Alliance Francaise provided free French tuition for them, kickstarting their year-long journey of learning and working. 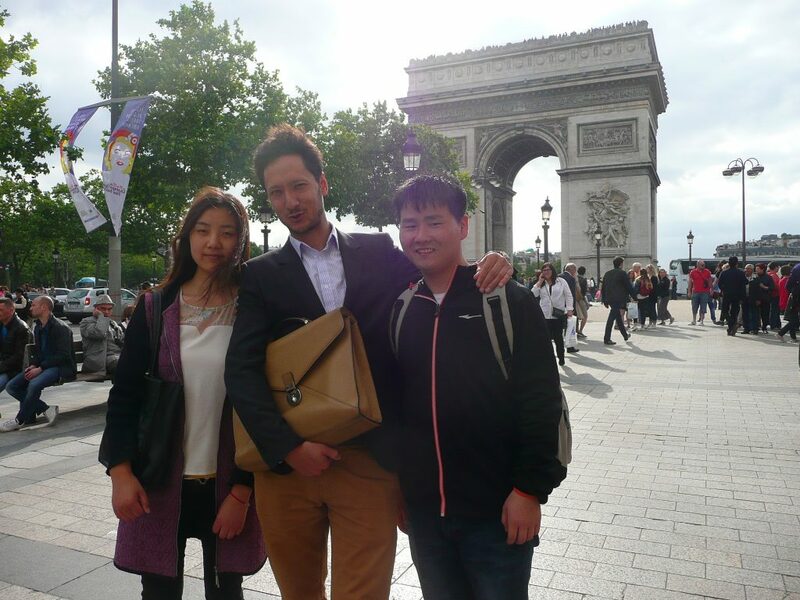 Within the first 2 months of reaching France, both Jin Huizi and Zhang Shuai learnt the French language at Cavilam school. They progressed rapidly, becoming more self-confident in the process. 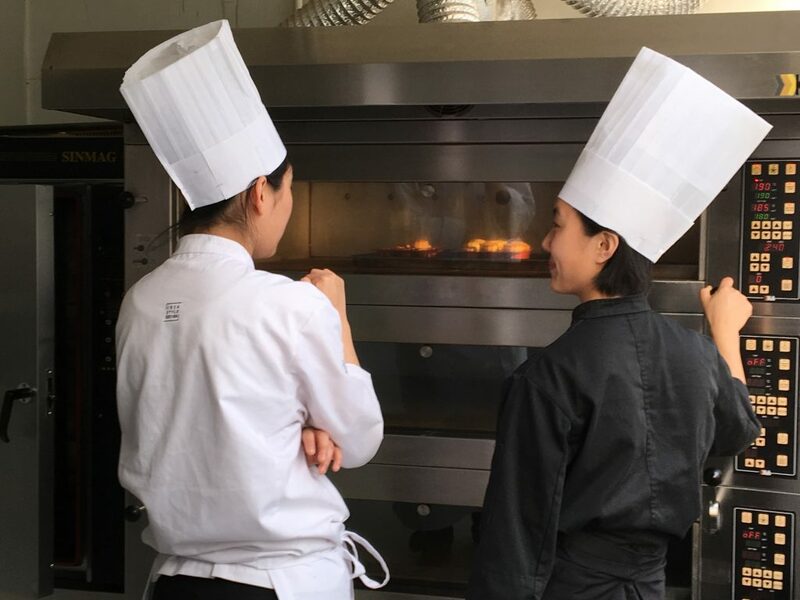 Afterwards, they studied at Ecole Française de Boulangerie et Pâtisserie d’Aurillac (EFBPA) for half a year, followed by another 2 months of internship. Despite feeling unfamiliar and having a hard time integrating in a foreign land, they received the help of various teachers and students. Jin Huizi recalls that “the landlady whom SYB arranged for our accommodation was extremely helpful, she spent her free time revising our French language lessons with us”. 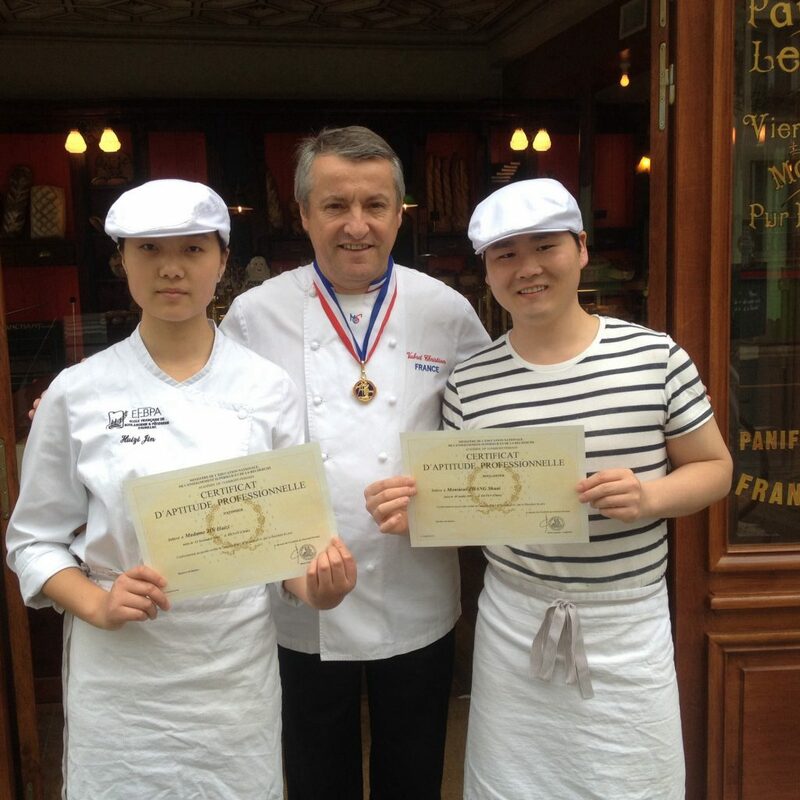 This one year in France gave them the chance to improve their techniques, gain exposure to new theoretical knowledge and deepen their understanding of European style baking. Zhang Shuai recalls that, during this time, he was already preparing to take up his responsibilities as a teacher for SYB. He would observe how the French teachers taught their lessons, volunteer for the role of teaching assistant and learn the ways of good teaching. That experience taught him to cultivate the good habits of checking his inventory before class and inspecting the process consistently as well as product control and time management. Zhang Shuai clearly remembers they returned on 31st May 2016, upon which they officially became the teachers of SYB. Zhang Shuai became Teacher Zhang and Jin Huizi became Teacher Jin. This identity change felt uncomfortable at first but fortunately, they had the guidance of the previous generation of teachers. Being former SYB students, no one else had a better understanding of the SYB students than them. Gradually, they grasped the different methods for solving the problems posed by the students, as well as improving their baking techniques throughout the process of teaching, transitioning from feelings of anxiety to confidence and generosity. “Becoming a teacher also means you constantly learn. A hundred students may make the same product, but you get to learn different things from the repetition.” – Teacher Jin. “Becoming a teacher allows me to apply the knowledge I’ve learnt from France in real life, stepping up a tier every year, consistently improving as well as rewarding numerous students. Being called teacher feels very affable.” – Teacher Zhang. Welcome come to click here to read the full newsletter.